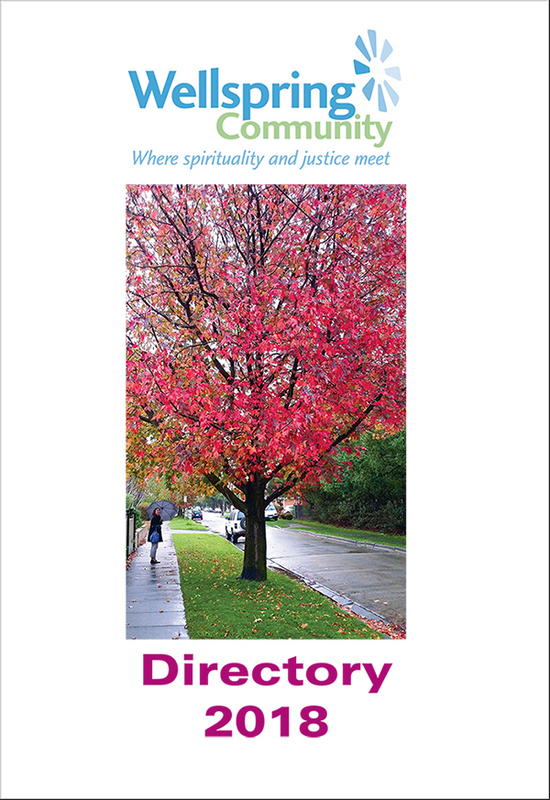 As Wellspring Community is a scattered community, the Prayer Diary and Directory issued annually provide a way for all members and friends to be connected through prayer and fellowship. Together they are essential instruments of unity across our vast nation, in addition to the Rule for members, linking our scattered community with each other with all its challenges and possibilities. 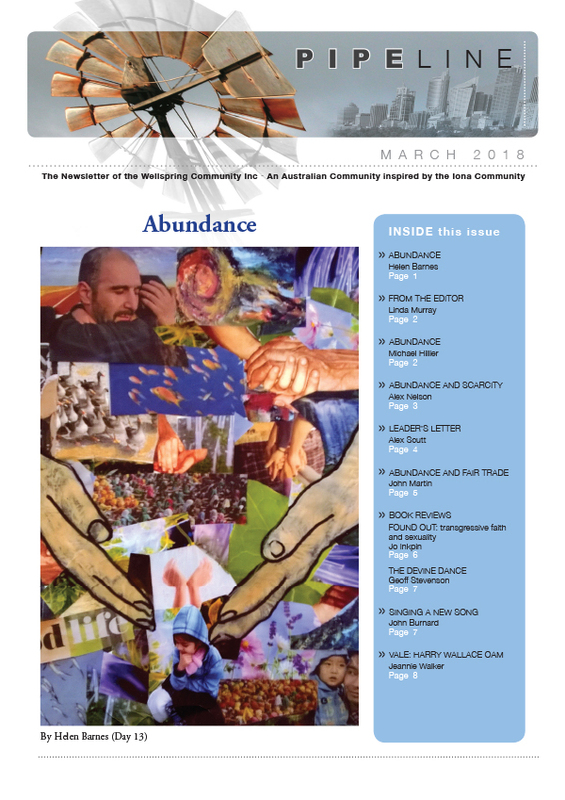 The quarterly newsletter, Pipeline, enables the community to hear news of other members, read interesting and thoughtful reviews and articles. Former Leader Neil Holm compiled this year’s prayer diary from our Member and Friend database and ensures that everyone has been included. John Connor (Wellspring member in the Blue Mountains) brings together another set of reflections and prayers for Sunday to Saturday and for every day of the month. Each member and friend is remembered in prayer on a particular day of the month. Ian Brownlee from Auspress Marketing in Katoomba, NSW, does all the printing and typesetting. There are others too, who has help to bring these publications to fruition each year. Each annual iteration of the Prayer Diary and Directory is an echo of the community we are now and what we hope to become. No one issue of each is quite like another; every year there will be new things which catch our attention for prayer, different circumstances in our individual lives that might be manifest in the prayer concerns we share, the information about where we live that might be of help to others and what hospitality each can offer to others. Linda Murray, Wellspring member from Western Australia writes in the September 2018 issue. No logic can dissuade the heart that burns with Hope for a new tomorrow. Hope is our precious gift that drives away pessimism, doom and gloom. New Life shows us Hope. The pure joy of a child’s laugh, a baby’s smile, an older person’s touch. They ask nothing in return and simply share their hope for the future. Creation springs anew each morning with the sunrise. We can gain hope for a better day, a peaceful future. Hope for Love to conquer all – or at least to open the door a chink and let the shimmer of hope enter.